Grinding teeth: The surface of the gear is ground with ultra-precision , which makes gear coordination more optimized. In addition, the friction resistance and vibration are smaller. The transmission efficiency of the whole machine can reach up to 98% and the noise at high speed is lower than 55 DB. The maximum input speed is 10,000 rpm. The minimum reverse backlash is less than 1 arc-min. Spacer flange technology: In order to meet different requirements of different users, a special Spacer joint flange has been specially developed. This patent enables TQG reducers can be compatible with the motors of any manufacturer, and the assembly time is only one minute. Gear surface hardening treatment: the life of such reducer gearbox is far more than that of the matchable motor, which thanks to the selection of high-quality bearings. The outer shell of the speed reducer is treated with special technology, which increases the bearing force and anti-vibration ability of the input shaft and output shaft and therefore prolongs the service life. Patented heat removal technology: Due to the high-speed rotation of the high-sealing planetary gearbox, the internal air can not be discharged after being heated, which increases the pressure and temperature rise in the inner cavity, and finally limits the long-time high-speed operation. 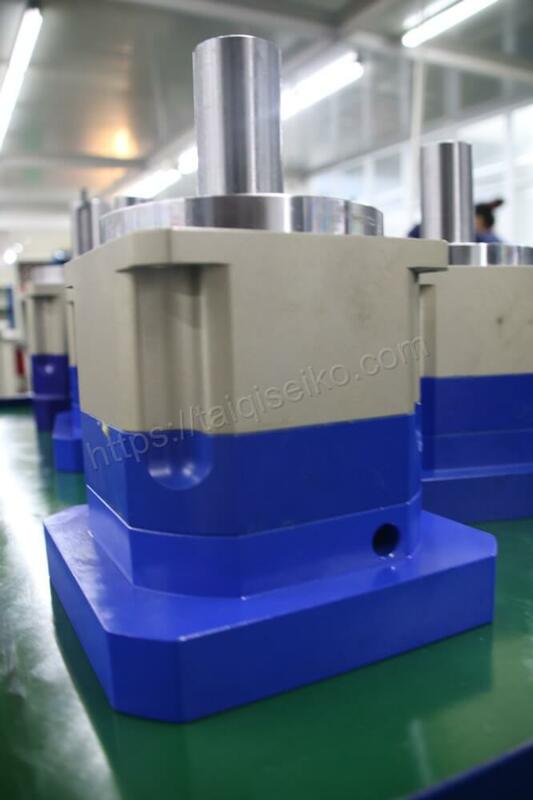 is The patented heat-dissipation technology is adopted by Taiqi seiko low backlash planetary reducer, which contributes to the high level of torque under the long time of high-speed, and the rises of temperature rise pressure is very little, which greatly extends the service life. The planetary gear box can be divided into high precision type and normal precision type. For more details, you can dowload our catalogs here or consult our salesman via online chatting tool. 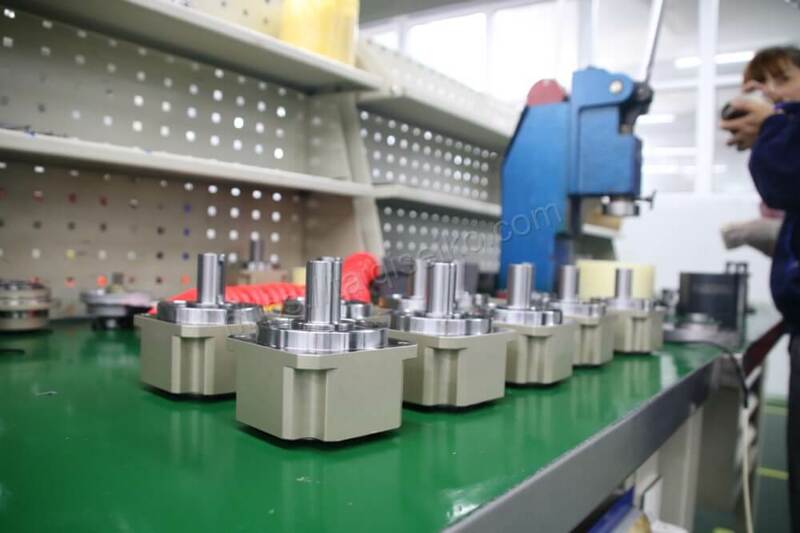 Workshop of TQG High Precision Planetary Gear Box What factors influnce the efficiency of the servo planetary gearbox?